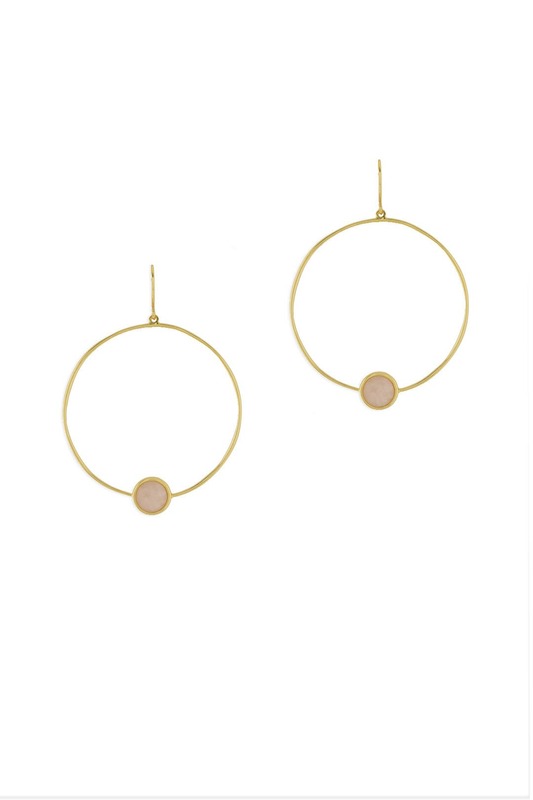 Pretty rose quartz punctuate these slim hoops earrings by Gorjana. 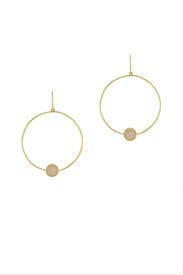 18K gold plated drop hoops with rose quartz stone detailing. 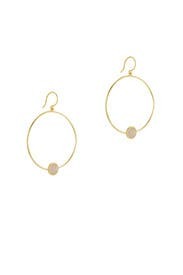 Earwire for pierced ears. 2.5" long.